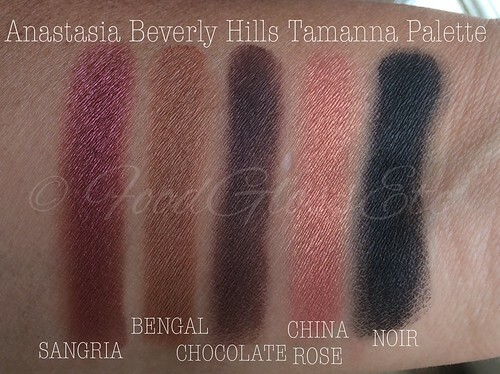 This post may come a little late as the Tamanna Palette is no longer available through the usual channels but I do believe you can still make your own as the individual shadows are already available through Anastasia Beverly Hills, Macy’s and other beauty outlets. 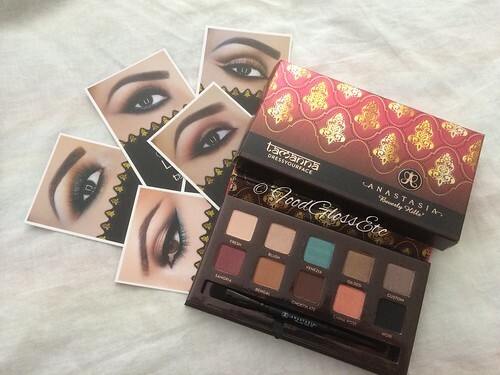 This is my first ABH palette and I am very impressed with the quality of the eyeshadows. 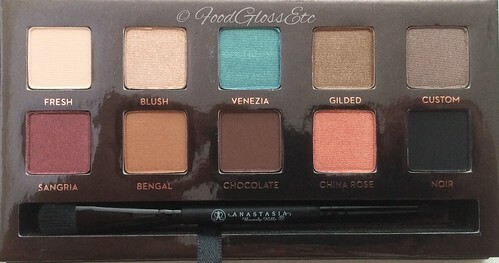 Many have written and raved about this palette. 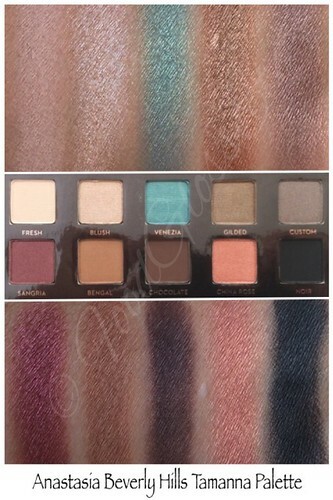 I am looking forward to checking out the individual shadows in the near future and will post swatches. Thanks for indulging me with this post. Have a great day and wishing you an awesome week ahead. I have been on the lookout for these gems ever since I heard about them over at Nouveau Cheap. There are 30 shades in the collection and I was able to purchase 17 of them. 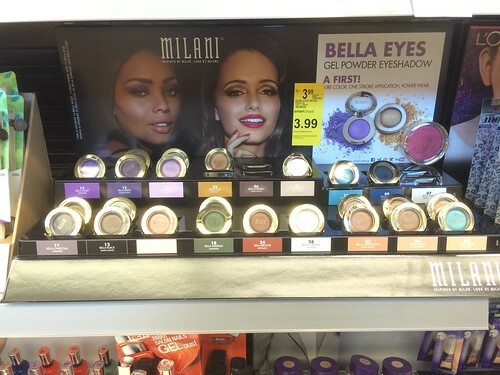 I have Bella Ivory, Bella Sand, Bella Cappuccino, Bella Caffe, Bella Espresso, Bella White, Bella Navy, Bella Charcoal, Bella Black, Bella Pink, Bella Violet, Bella Purple, Bella Champagne, Bella Emerald, Bella Teal, Bella Gold and Bella Bronze. I got them for $3.99 each at Walgreens. I used my points to purchase them (yes, I saved a lot of points and I only buy stuff that will get me points) so I only forked out I think $6. They are housed in plastic, gold packaging. Pretty much like the baked blushes except that it’s smaller. There is a dip at the center and in close up photos one will notice that the surface is slightly textured. 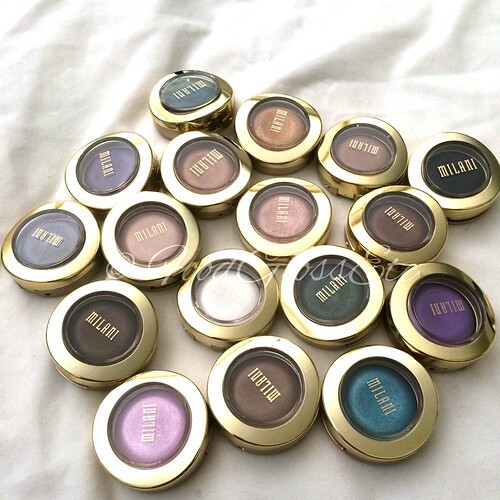 So my thoughts/review here is in general as I love the shades that I have from this collection. 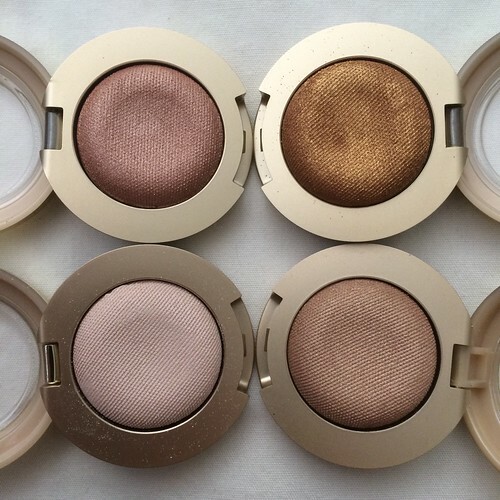 the product itself is not housed in the normal round metal container like the regular shadows, instead they look like they are baked on ceramic bottoms which could mean nothing or a lot depending on whether you depot your eyeshadows or not. I am not sure about the gel part in the name of the product because at first swipe, in my experience at least, it was and still is powder. the texture is beautiful, reminds me of a finely milled powder with the exception of Bella White and Bella Ivory which was a tad powdery and Bella Black which is also powdery but less than the previous two mentioned. all of them really blends well in my experience, with or without a primer, even the three shades I have mentioned previously I did not have trouble working with. I have really oily lids and without a long-lasting primer I have trouble making eyeshadow last and this product is not an exception. In this 90 degree weather with my oil glands in full throttle, it only lasted around 3 hours before it started fading. Mica, Synthetic Fluorphlogopite, Silica,Aluminum Starch Octenylsuccinate, HDI/Trimethylol Hexyllactone Crosspolymer,Dimethicone, Isononyl Isononanoate, VP/Hexadecene Copolymer, Cetyl PEG/PPG-10/1Dimethicone, Octyldodecanol, Magnesium Aluminum Silicate, Nylon-12, CaprylylGlycol, Ethylhexylglycerin, Ammonium Acryloyldimethyltaurate/Beheneth-25Methacrylate Crosspolymer, Polysorbate 20, Polyisoprene, Talc, PentaerythritylTetra-di-t-Butyl Hydroxyhydrocinnamate. +/- May Contain: Tin Oxide, TitaniumDioxide (CI 77891), Iron Oxides (CI 77491, CI 77492, CI 77499), ManganeseViolet (CI 77742), Ultramarines (CI 77007), Ferric Ferrocyanide (CI 77510),Carmine (CI 75470). 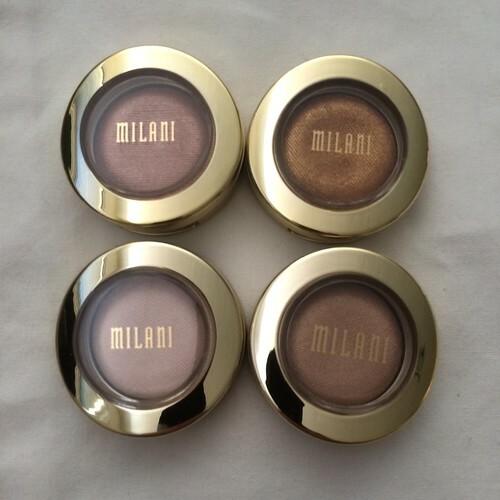 Thanks loves for dropping by and please share your thoughts on this new offering from Milani.